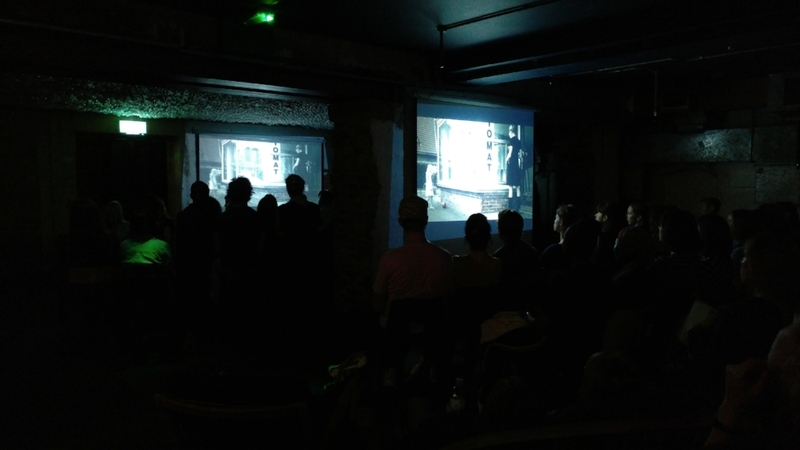 Last Saturday, we held an event with a new theme - screening short films made by female directors! This was special to us because although the number of films directed by women is rising, we still feel they are underrepresented in the industry. More than half of the submissions we receive in general are from male directors, so we hope to organise new projects that will encourage more women to get involved - watch this space! Our sold-out event was a huge hit with guests queuing up for last-minute tickets. This has been one of our most popular themes and we will definitely repeat this theme in the near future. See more photos on our Facebook page. 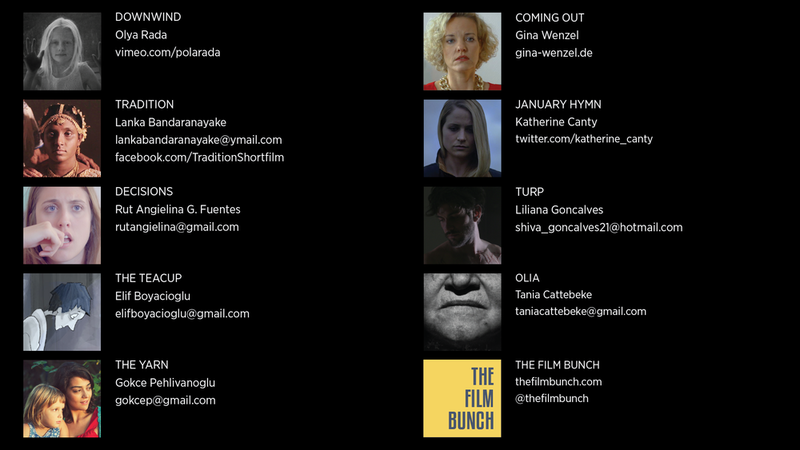 We screened nine varied short films, find out more about them below! In a desolate frayed future, reminiscent of a German 60s, a woman makes a big decision. A satirical family drama about the coming out of a young girl to her family, where nothing goes planned. An old woman decorates a bride with the traditional Sri Lankan jewellery. She describes the symbolic meaning of each jewellery piece. Those meanings carry the girl to her past relationships and their deep scars. The bride’s ultimate destiny seems something illusive. A comical sketch: Taking the right choice isn't always easy. Aleksander lives with the pain and guilt of having done nothing to save his family in a massacre at his home by military Yugoslavs/Serbs during the Kosovo war in 1999. A young child Jose'i becomes close to his mute neighbour, Olia, who looks after him while his mother is at work. When Olia passes away, everything changes for Jose'i and his family. © 2019 The Film Bunch. All rights reserved.